The beloved Mazda6, beautiful and elegantly styled as it is, needed a little more power in its currently generation. The 2.5-liter four-cylinder just didn’t give the car enough grunt. Now, it seems like Mazda’s flagship sedan will finally get some extra love in the form of a turbocharged engine. Mazda’s keeping the 2.5-liter engine and giving it cylinder deactivation. But it is also bringing the 2.5-liter direct-injected turbocharged engine, which debuted in the CX-9 crossover, over to the 6 lineup. Mazda didn’t clarify what those power figures would look like, but if the outputs remain the same from the CX-9 (227 horsepower and a truly silly 310 lb-ft of torque) then I’d say we’re in good shape. The naturally aspirated engine had 184 hp on tap. Good, but could be better and now is. 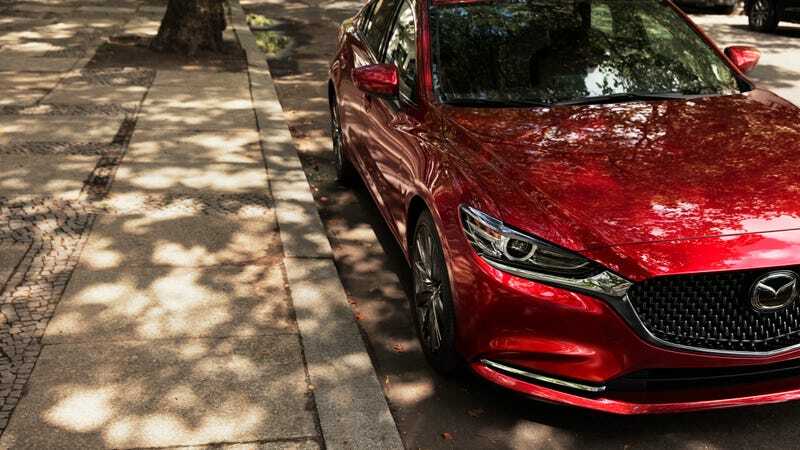 The new, turbocharged Mazda6 will be at the 2017 Los Angeles Auto Show, taking place later this month. We’ll check back with more information then.